GuoXiang Wu, GM of Marketing at China Southern: ‘"NDC is the trend for airlines to engage their customers faster, but it will take time to educate the market." Wu’an Zhang, Vice President at Spring Airlines: ‘ NDC’s future is not promising. It will be extremely difficult for IATA to promote such concepts and technology, especially when the characteristics of every country and every market differ so much from each other." The implementation of a new concept will inevitably provoke controversies and resistance. NDC (New Distribution Capability), introduced in 2012 by IATA Resolution 787, reached its first milestone in 2015 when the first set of official certification standards was released. After this, foreign airlines such as Lufthansa, British Airways, American Airlines and Finnair took the first initiatives. In China, Hainan Airlines was the first airline using NDC to achieve online transactions, Shandong Airlines the first to generate ancillary revenue through NDC, and China Southern the first to implement NDC in-house. The GDSs have dominated the global airlines distribution business for more than 50 years. With the maturity of the NDC standard, what inspiration can be brought to airline distribution in the future? 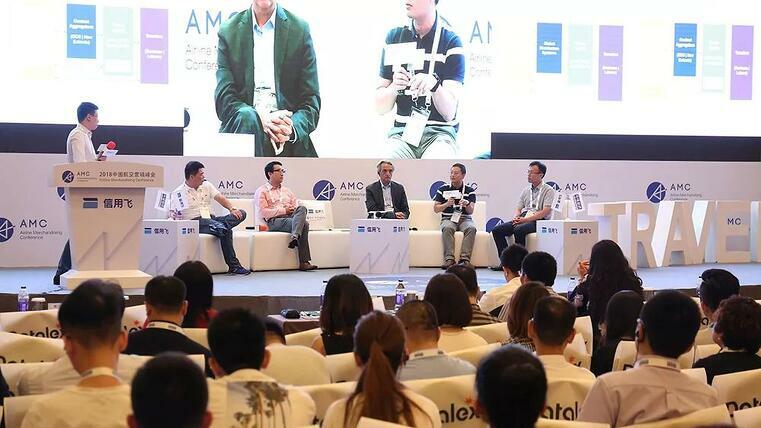 At the TravelDaily Conference, Datalex China GM Chris Guo hosted a panel discussion on how NDC direct connect will rebuild the new airline distribution model. Chris was joined by panelists Feng Chen, Deputy General Manager of Sales & Marketing at Shandong Airlines; Veli Polat, Senior Director of Sales at Lufthansa Group in China; Ronnie Wang, Regional Manager North Asia at IATA; Qiongwei Sun, Deputy General Manager of Airline IT at TravelSky; and Xiaolong Lu, Senior Director of International Air Tickets at Ctrip. By July 2018, over 60 NDC-certified solutions were deployed, while 42 IT providers and 14 aggregators were certified. Nine Chinese airlines including Air China, China Eastern, China Southern and Hainan Airlines, have achieved Level 3 certification. Ronnie Wang of IATA said that, contrary to the experience of foreign airlines, NDC certification of Chinese carriers does not result in significant actual deployment. According to a survey by IATA, foreign carriers leverage NDC mostly to reduce distribution costs and compete with LCCs. Veli Polat of Lufthansa Group confirmed this: “By applying GDS DCC fees and embracing NDC, the key focus for Lufthansa is to reduce distribution costs, not to take advantage of other benefits.” However in China, FSCs still dominate the market and do not have the same level of cost pressure from GDSs. Wang also mentioned that western corporate buyers are extremely interested in NDC, and it is this interest that is driving the transformation. For example, Siemens and Volkswagen can now access Lufthansa’s corporate offers via NDC direct connect with more innovative and richer content. China has not seen the same demand. From left to right: Chris Guo, Xiaolong Lu, Ronnie Wang, Veli Polat, Qiongwei Sun and Feng Chen. Feng Chen of Shandong Airlines believes that Chinese airlines are still not clear as to what challenges NDC can resolve, and how. "NDC describes a vision of a new business model, but to achieve it requires a high level of maturity of underlying capabilities such as product management. Chinese airlines still have a long way to go, but we are establishing the foundation and the flagship store is still an important element." Direct connects with OTAs, corporates and other channels have been widely adopted since 2003 by Chinese airlines. Qiongwei Sun of TravelSky commented that Chinese airlines were already powered with internet-based distribution technologies long before IATA NDC arrived. "Chinese airlines question the necessity and benefit to align with the industry standard, as do the technology providers", said Sun. Xiaolong Lu of Ctrip welcomed a unified standard which helps increase the efficiency of implementation for all the parties involved. But he highlighted that the price is actually the critical factor for customers making purchase decisions. With the introduction of NDC, airlines have more control of the offer and order through all digital channels. Initially, this did not seem to be good news for GDSs or OTAs. "Ctrip has piloted NDC direct connect with many airlines and is well prepared to embrace new technology to improve the customer experience. From a business perspective, we think traditional GDSs will co-exist with the NDC model, and it’s up to the market to decide which is better", said Lu. “GDSs will not disappear, and their market share of airline distribution will not drop below 10%”, Sun predicted. "Indeed, BSP tickets issued through the GDS now account for less than 50% of total sales. But GDSs can still bring value for some time to come, since deploying direct connect in all channels means huge IT, management and business costs to the airlines." Sun believes that airlines will probably implement NDC direct connect in major markets and with major partners. But in other market segments, aggregators will emerge to play a similar role to the GDS, either as new players or as transformed GDSs. "SWITCH in the hotel business is a good example of this", he added. Lufthansa has piloted content differentiation in Hong Kong and Singapore by distributing differentiated offers three days in advance to direct connect customers. "NDC has enabled great flexibility in this regard but we’re not free to do so in all markets", said Polat. In addition, Lufthansa is also progressing its dynamic pricing and preparing to launch in NDC channels to provide offers with ancillary products at more attractive prices than in the GDSs. 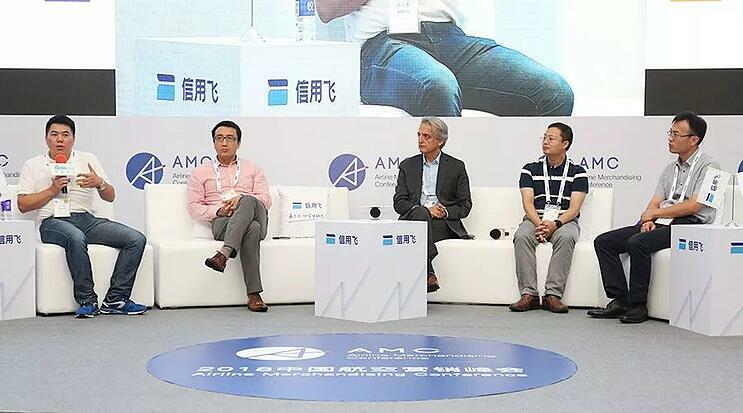 "Chinese airlines need to define a clear strategy for NDC and take advantage of the OTA giants to collaborate in an innovative way", Chen emphasized. "Airlines should consider the whole customer journey, and this is not an easy task. Besides, airlines need to define an appropriate implementation approach by holistically evaluating their own IT capabilities, resources and partners." Wang wrapped up: "Without the underlying business capabilities and rich content, airlines cannot fully leverage NDC. The deployment also faces additional constraints in China, for example ancillary sales are not allowed on domestic flights. We hope airline retailing can become a widely accepted business model and make NDC a real success." This article was originally published on July 25, 2018 in Travel Daily.